Ivy Lane is tough. She may not know everything, may not act properly around esteemed company but then, who cares? She has lived through some of the worst things life can throw at her, from a Faerie war to being kidnapped. All she cares about is keeping a roof over her head and not having to deal with Faeries again. What I loved about Ivy as a character is her no care attitude to those around her. Offended? She is who she is and she will not be changing for you. She understands that she has limitations but will always aim to push herself for those around to live safely and not encounter what she did again. If it comes with a bonus of Mage Lord eye candy, who is she to say no? Utilising her room-mate and best friend Isabel’s spells in potentially bad situations helps to lead Ivy to the people who are responsible for the worst in the world, and forces Ivy to dig up the demons of her past. The plot is quick paced, witty and with enough twists and turns to keep you reading and guessing. Sometimes confusing with the sheer amount of information smacking you in the face there is a nice blend of different fantasy characters from werewolves to mages and all the nice and scary in between. 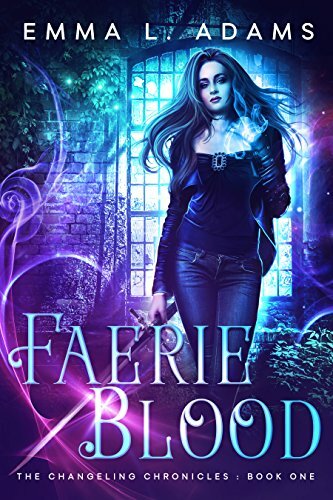 Urban fantasy novels are often a case of finding the diamonds in the rough but don’t worry as this one truly shines and lives up the the blurb. A recommended read? For sure. Emma blends multiple supernatural personalities with demons of the past and hope for the future in an exhilarating and past paced first book of the series.